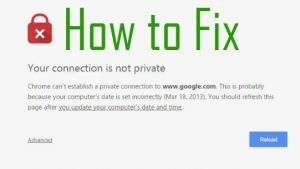 This post has been created to help you fix the “Your connection is not private” error which may appear in your Google Chrome web browser. Many users have begun complaining and seeking solution to a pop-up error caused in Google Chrome and other web browsers. The error is usually caused by the configuration of the date settings in Windows, however it may also be caused by what many refer to as a tech support scam – a pop-up which blocks you out of your web browser and demands you to call a tech support number to fix the issue. This is why, in this article we have addressed both of the scenarios and have come up with the solutions for them. Keep reading to learn how to fix the “Your connection is not private” error in your Windows for free. 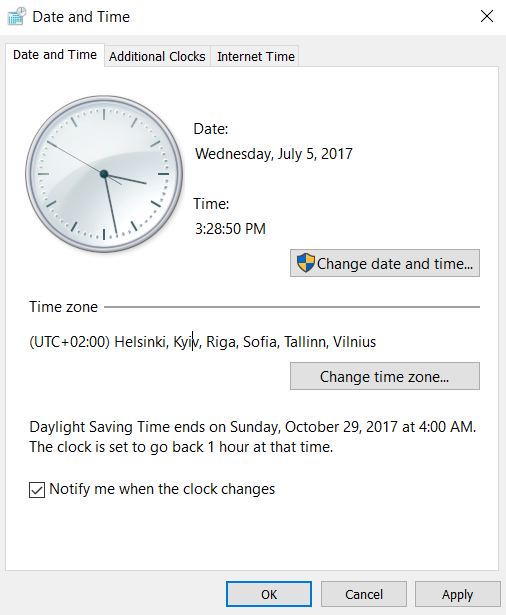 Short Description If legitimate, caused by a web page that is with low reputation or if your web browser’s time is not the same as your PC. If a scam, it is likely shown as a result of having an adware or other unwanted program that shows ads and causes redirects on your PC. Symptoms Your web browser starts to show different browser redirects, the main of which leads to the “Your connection is not private” red screen message. Distribution Method Website, with low reputation.Bundled downloads. Web pages which may advertise it. User Experience Join Our Forum to Discuss "Your connection is not private" Redirect. Step 1: Hit the Windows Button + R combination on your keyboard. 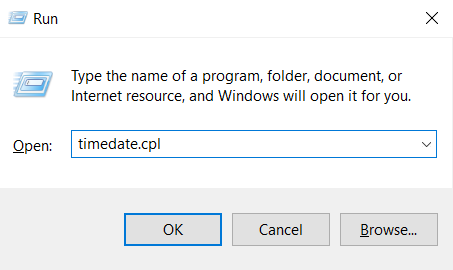 In the Run window which will appear type “timedate.cpl” and hit OK. 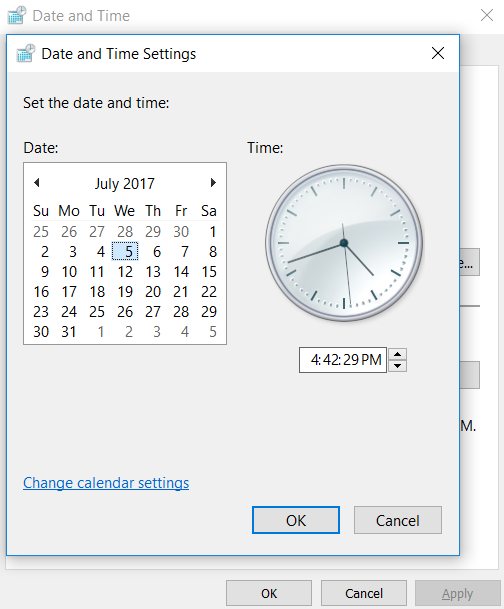 Step 3: If your date has been changed, change it back to the original today’s date and then click on Apply and Ok. This should fix the issue. These screens are usually caused by potentially harmful software that aims to display fake tech support numbers. If you see a number accompanying the message, do not call it, since you will be calling scammers, whose main goal is to scam you out of your money or your information via the phone. Such unwanted programs, related to the “Your Connection is not Private” scam usually slip into your computer as a result of bundling. Bundling is the process of installing an application which is free, such as your favorite media player, torrent or other programs. Usually some suspicious websites bundle PUPs (potentially unwanted programs) in their software setups. These unwanted software are not malware, but they may cause various advertisements to appear and your system to run extremely slow. Among those advertisements, those apps may also change your browser settings. Banners on the sites you visit. 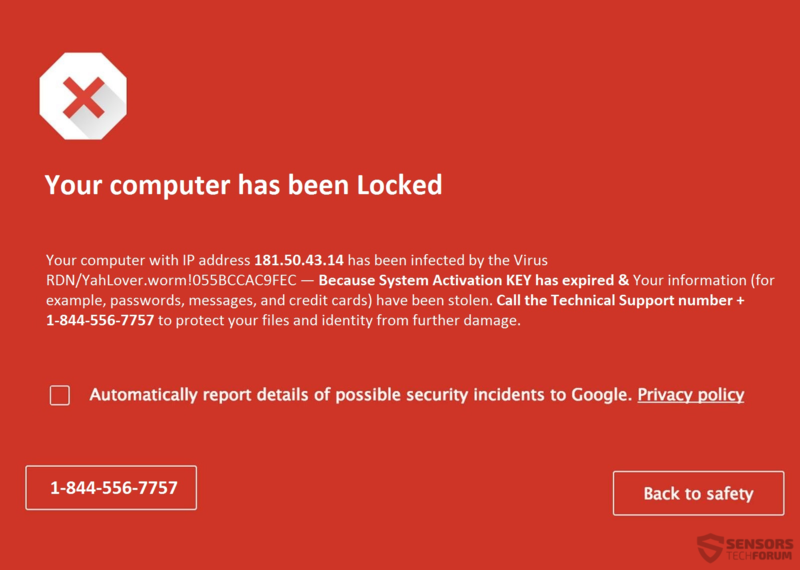 So, if you experience those symptoms, we advise you to clean your web browser and your Windows by following the removal instructions below for any viruses, displaying fake “Your connection is not private” error messages. Threats such as "Your connection is not private" Redirect may be persistent. They tend to re-appear if not fully deleted. A malware removal tool like Combo Cleaner will help you to remove malicious programs, saving you the time and the struggle of tracking down numerous malicious files. Threats such as "Your connection is not private" Redirect may be persistent on your system. They tend to re-appear if not fully deleted. A malware removal tool like SpyHunter will help you to remove malicious programs, saving you the time and the struggle of tracking down numerous malicious files. Note! Your computer system may be affected by "Your connection is not private" Redirect and other threats. SpyHunter is a powerful malware removal tool designed to help users with in-depth system security analysis, detection and removal of threats such as "Your connection is not private" Redirect. 1. Install SpyHunter to scan for "Your connection is not private" Redirect and remove them. 2. Scan with SpyHunter, Detect and Remove "Your connection is not private" Redirect. Ransomware infections and "Your connection is not private" Redirect aim to encrypt your files using an encryption algorithm which may be very difficult to decrypt. This is why we have suggested several alternative methods that may help you go around direct decryption and try to restore your files. Bear in mind that these methods may not be 100% effective but may also help you a little or a lot in different situations. Note! Your computer system may be affected by "Your connection is not private" Redirect or other threats. Remove "Your connection is not private" Redirect by cleaning your Browser and Registry. Fix registry entries created by "Your connection is not private" Redirect on your PC. Combo Cleaner is a powerful malware removal tool designed to help users with in-depth system security analysis, detection and removal of threats such as "Your connection is not private" Redirect. Step 5: In the Applications menu, look for any suspicious app or an app with a name, similar or identical to "Your connection is not private" Redirect. If you find it, right-click on the app and select “Move to Trash”. Step 6: Select Accounts, after which click on the Login Items preference. Your Mac will then show you a list of items that start automatically when you log in. Look for any suspicious apps identical or similar to "Your connection is not private" Redirect. Check the app you want to stop from running automatically and then select on the Minus (“–“) icon to hide it. Remove "Your connection is not private" Redirect – related extensions from your Mac’s browsers. A pop-up window will appear asking for confirmation to uninstall the extension. Select ‘Uninstall’ again, and the "Your connection is not private" Redirect will be removed. When you are facing problems on your Mac as a result of unwanted scripts and programs such as "Your connection is not private" Redirect, the recommended way of eliminating the threat is by using an anti-malware program. Combo Cleaner offers advanced security features along with other modules that will improve your Mac’s security and protect it in the future. Hey !, I found this information for you: "“Your connection is not private” Scam (System Error) – How to Fix It". Here is the website link: https://sensorstechforum.com/connection-not-private-scam-system-error-fix/. Thank you.